Ivana Hebrang Grgić graduated in 1999 at the Faculty of Humanities and Social Sciences, University of Zagreb, at the Department of Philosophy and at the Department of Information and Communication Sciences. 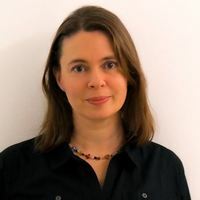 Her master thesis in 2004 was "Scholarly journals publishing after 1990" and her PhD thesis in 2009 was "Open access to scientific information in Croatian journals and digital repositories". Since July 2002 she works as a research and teaching assistant at the Department of Information and Communication Sciences, Faculty of Humanities and Social Sciences, University of Zagreb. She authored two books, “Open Access to Scientific Information in Croatia: Increasing Research Impact of a Scientifically Peripheral Country” (2011) and “Scholarly Journals and Communication” (2016). She edited six books and wrote papers for international scholarly journals and conference proceedings (listed in CROSBI). She is one of the authors of Croatian Declaration on Open Access.